The Smithfield series has been designed by Jasper Morrison for Flos in 2009. 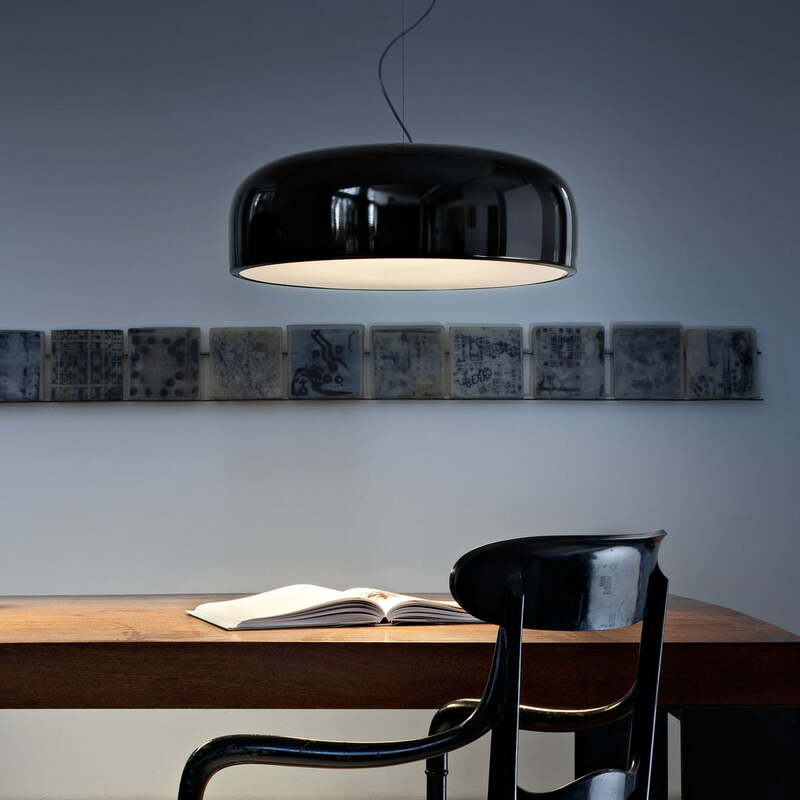 The series includes different pendant and ceiling lamps. All the lamps of the Smithfield series have a Morrison typical shape – reduced to become minimalistic, timeless with clear contours. The Smithfield pendant lamp is a suspension lamp with direct light and it is therewith suitable to illuminate a dining table. It is available in three different editions: one for halogen illuminant and one dimmable as well as a non-dimmable edition for fluorescent illuminants. The Smithfield lamp’s corpus consists of polished and painted aluminium (black, white or grey). The injection molded lamp’s shade is made out of opalescent methacrylate. The ceiling fixture and the suspension cable are out of steel. The three-branches cable with a double insulation consists of PTFE (poly-tetra-flour-ethylene) and it has a usage length of 400cm. 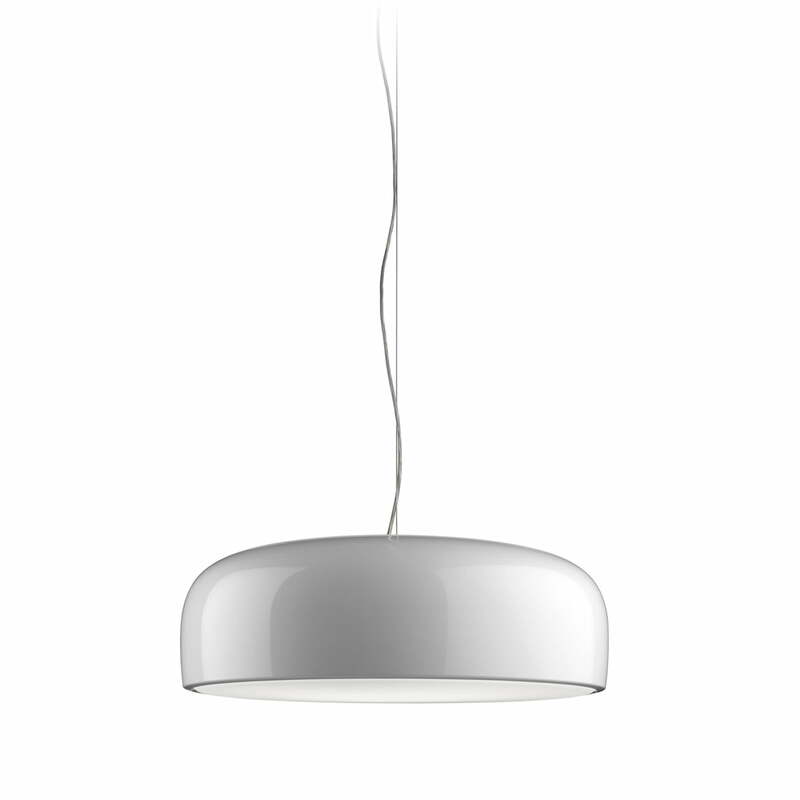 The Smithfield lamp by Flos is also available in further editions.